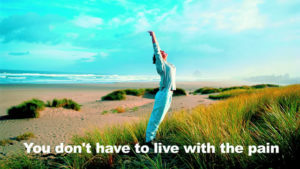 “Chronic low back pain…” Suzanne suffered from low back pain for more than a year and a half. But all that changed after only a couple of Prolotherapy / Prolozone treatments. “Cronic low back pain…” Casey is a Kung-fu instructor, which requires a great deal of flexibility and range of movement. As the years progressed his back pain increased eventually making it difficult for him to do his job. He turned to Prolotherapy / Prolozone treatments for relief. “Chronic low back pain…” Joan’s pain was debilitating. The pain in her low back and knees kept her from doing even simple things and from driving any significant distances. After only a few Prolotherapy / Prolozone treatments that all changed. “Chronic low back and hip pain…” Barb was suffering from severe pain that involved her back, hip and radiated down to her knee. After only a few months of Prolotherapy / Prolozone treatments she is now pain free. “Suffering decades of back pain…” Bob is an outdoorsmen. He loves to hunt and fish, but those activities have been harder and harder for Bob to do and enjoy. Fortunately, his Prolotherapy / Prolozone treatments have put him back on the path to recovery.